Looking for a show stopper? 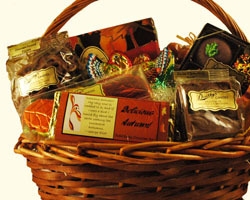 Dorothy's Candies baskets are unparalleled! Great to look at -- but even better when it's time to dig in! From Wayne phillips of Pittsburgh, Pennsylvania on 12/4/2015 .